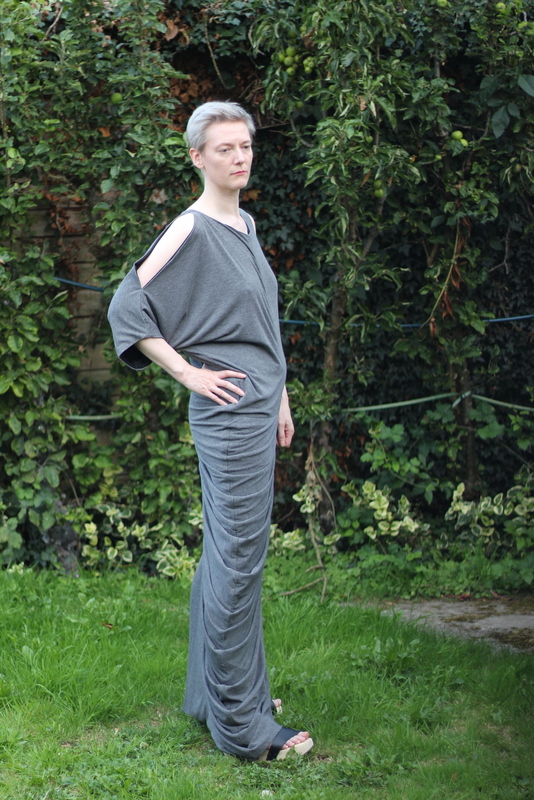 Posted on July 8, 2017 July 7, 2017 by catherinedaze	This entry was posted in Dresses, dressmaking, Finished, grey, sewing, vogue and tagged dress, dressmaking, grey, sewing, vogue. Bookmark the permalink. This is just fabulous on you! I agree a shorter version (in blue?) would look amazing for everyday use. And happy birthday. Yes I thought about that too! 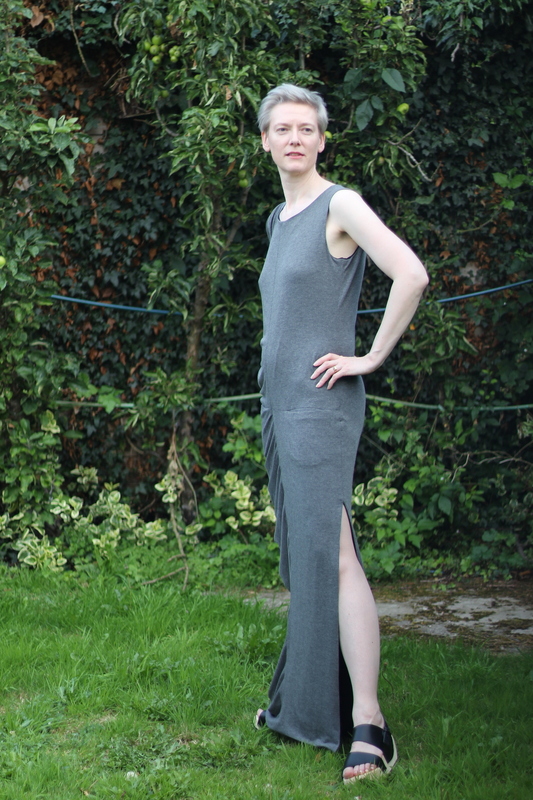 It would make the fabric requirements prohibitive for the full length version but a shortened one shouldn’t be too bad. I’m really tempted to have a go at that. I remember seeing this pattern and think wtf?! But…its fabulous when you wear It! It looks interesting yet quite elegant. Lovely that you enjoyed making it too. So so chic! It’s dramatic but in just the right way. What a lovely, intriguing dress. I wonder if it might be fun shorter, and maybe worn the weird way, over a clingy T. And Happy Birthday! Thanks! Wearing it over a t shirt is a good idea. It definitely dresses down well; I am wearing it with trainers today. Extraordinary – and you really look great in it. Not everyone would! such a cool, interesting dress. almost feels like something out of Drape Drape. and that fabric is fantastic! Thanks! It’s strange; it does look like a Drape Drape design but the pattern is much more familiar looking. Some of the Drape Drape ones I couldn’t put together without diagrams! You always look amazing in unique avant garde styles. Happy Birthday! I just love your dress! Stylish, trendy (what a SHAME this pattern is no longer available!) – and yes I agree with others that it’s so glamorous on you 🙂 WOW. this is fantastic and you look great. perfect interpretation of this unusual style. This looks amazing! 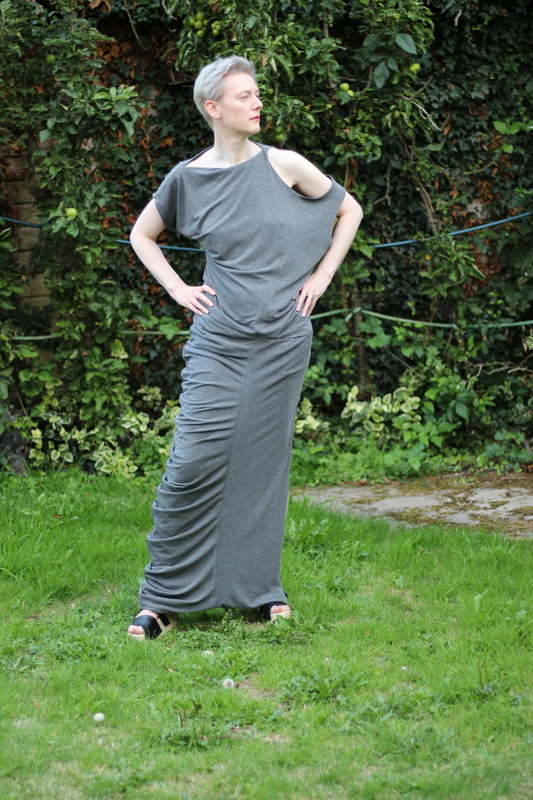 The draping is great, and it makes you look so statuesque. It looks classy and cool at the same time, while not being too fussy for daily wear. Looks like a perfect summer pattern. What a cool dress. It reminds me a lot of some of the ideas in Pattern Magic. All those side pleats are a bit like the Apple Peel leggings and the head hole situation reminds me of is that hilarious style in that book with the top over the girl’s head and just her face popping out. Ha ha yes I remember that one with the head! Full Moon I think it was called? 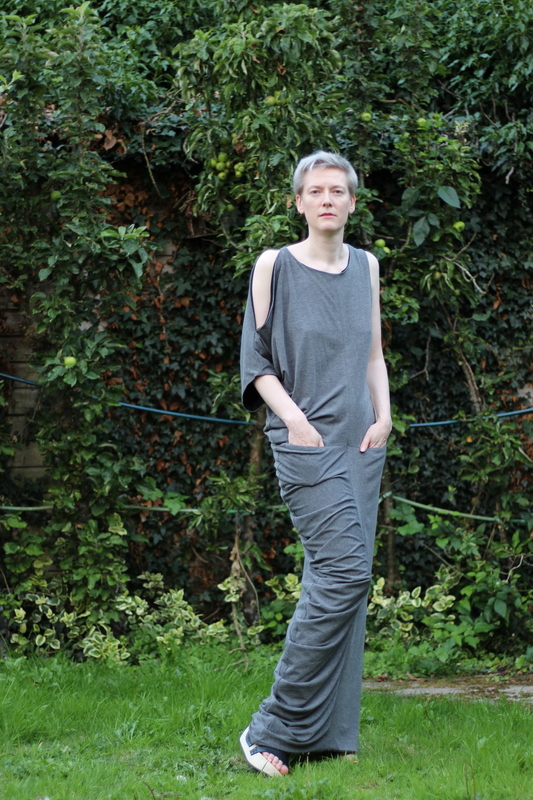 I made the Apple Peel leggings once. They looked good in photos but kept sliding down. This dress is much more comfortable. 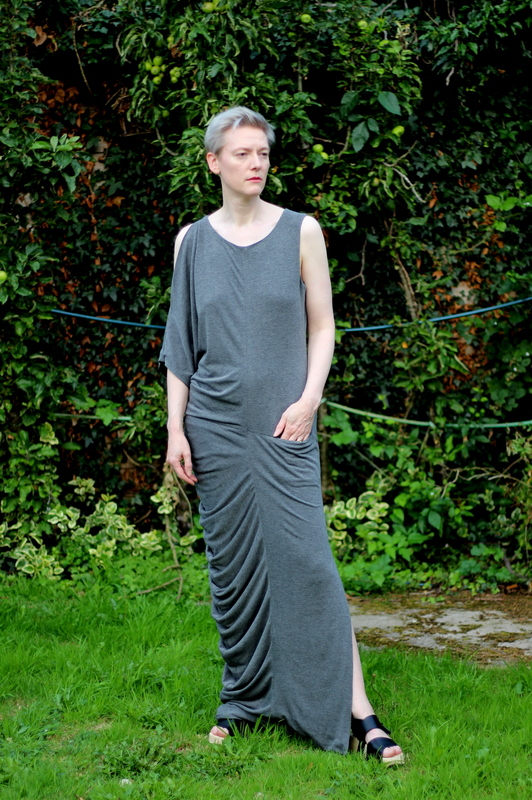 You’ve elevated this dress from what I saw as special occasion to everyday and it looks fab! You have the height and figure to carry it off too. Love your shoes – perfect accessory. This pattern was made for you! It’s so interesting and dramatic and looks fantastic on you. Wow, Catherine, you look amazing! I’m way behind on blog reading, but didn’t you have a baby? Sheesh, you know how to do it!